Change abounds at The Shops at Perry Crossing (formerly the Metropolis Lifestyle Center) in Plainfield. As you can tell by the name change, the mall itself is in the midst of a rebranding effort. We will have more on that right here on the Hendricks County Insider later this month. Instead, today I want to share my experience at a new locally owned store that just opened and I discovered inside the mall. 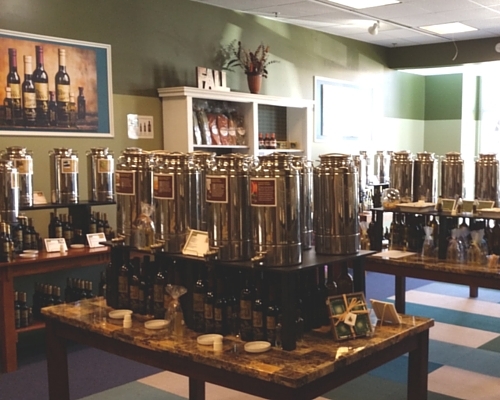 A perfect treat for everyone from foodies to the person who has everything, the brand new Olive Leaf has a large variety of balsamic vinegars and infused olive oils available for purchase. The spacious tasting room is open for visitors to sample flavors from around the world. Stop in, drop a taste into the cups available at each tap and find new flavors that you can&apos;t experience elsewhere. The friendly, knowledgeable staff will tell you about the region that the product came from, which foods it pairs well with and some of their own personal insights and recommendations. An added touch that guests appreciate are the recipe cards stacked near each metal canister. The cards recommend a common food recipe that pairs well with that selection. Pear Balsamic Vinegar drizzled over an apple crumble or pie, topped with ice cream? Oh, yes. The flavors available will change throughout the year depending on the harvest season. You&apos;ll find your favorite available in four different sizes ranging in price from $5 to $30. Olive Leaf oils and vinegars are such a great gift idea or addition to your own kitchen table and pantry. Cooking classes are offered frequently in store and include tastings and a meal. If you are looking for a fun activity, private tasting events can be set up with food to accompany the sampling. 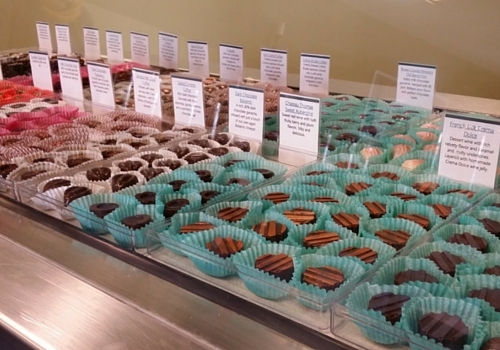 Also available in store are delightful candies from Peacetree Mountain Truffles. The Olive Leaf originated in Bloomington, Ind., and has become a local favorite there. This new Plainfield location is their second store. Located at 2499 Perry Crossing Way, Suite 110, Plainfield. I highly recommend checking out this new addition to The Shops at Perry Crossing. You won&apos;t be disappointed.